Thursday 10pm - 4am (nighttime pool party), Friday, Saturday, Sunday 11am-7pm. No torn ot cut-off clothing or athletic wear allowed. Proper pool footware including sole. No European bathing. Las Vegas is hot during the summer, even after nightfall. To keep cool while still having fun, head over to Encore Beach Club’s nighttime pool party. While most people familiar to the Las Vegas club scene recognize Daylight’s Eclipse and XS Night Swim, these are not the only Night Swim events in town. Encore Beach Club Night Swim has been going strong since introducing their full summer schedule in 2018 and will continue offering at night swim events throughout the warmer months of the year. If you’re looking for a new spot to hangout these upcoming summer nights, Encore Beach Club Night Swim is it. This season’s hottest Night Swim event is brought to you by Wynn Nightlife, one of the top entertainment companies in Las Vegas offering luxurious, cutting-edge venues that frequently attract some of the biggest headliners in the business. You can expect to see all of the must-have services you have come to expect from Wynn, such as top-tier DJs, premium alcohol menus, guest lists, a strict dress code, limited tickets, and even bottle service. All you have to do is sport your swimsuit and you’re ready to indulge with the Las Vegas crowds in one of the most lavish and laidback environments in the city. If you have ever been to Encore Beach Club, know that their Night Swim event is very similar with a party-like vibe, tons of people, and great extras like table service. As one of the best day clubs in Las Vegas, you can set your sights high that Encore Beach Club Night Swim will no doubt become one of your go-to party spots this summer season. 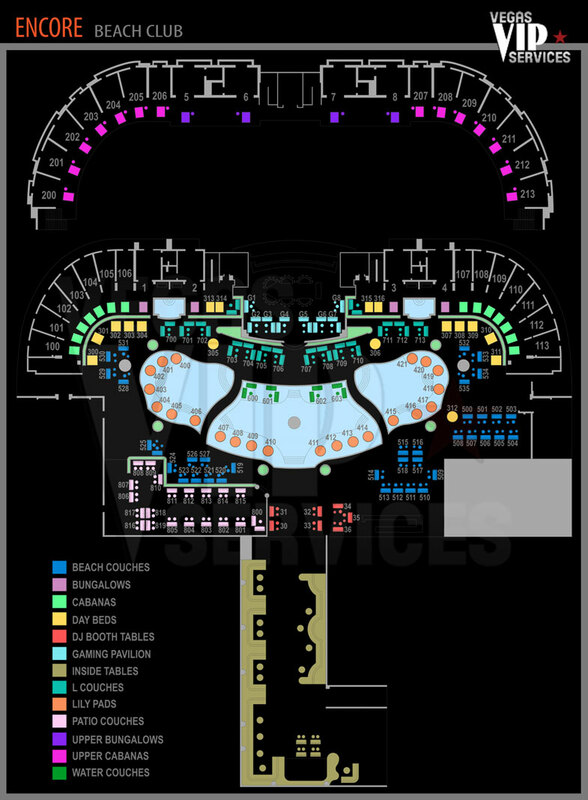 If you are not familiar with the happenings at Encore Beach Club, know that the club has two main night events: EBC at Night and EBC Night Swim. Encore Beach Club at Night is the club’s preseason nighttime party and their Night Swim only occurs during the hotter months of the year, typically starting in May. If you plan on stopping by Encore Beach Club Night Swim, there are a few things you should know. First, the event usually spans through October, allowing you plenty of time to make your debut. You can usually find Night Swim available on Thursday, Friday, and Saturday nights starting from 10:30 PM to 4:00 AM. The music at the event is EDM and you can expect some of the best DJs in Las Vegas to be on standby, including Marshmello, Dillion Francis, Major Lazer, RL Grime, Galantis, and Flosstradamus. 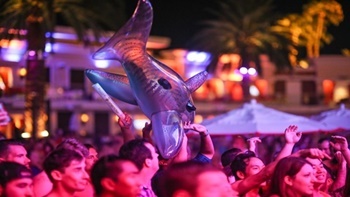 Encore Beach Club also hosts special events on occasion, including industry nights. Encore Beach Club spans more than 60,000 square feet which includes three massive swimming pools and two full stories of bungalows and cabanas that guests can rent out for parties or just for a day of relaxing. The cabanas and bungalows are also equipped with balconies that face off the Strip, giving guests an exceptional view of the chaos below. At Encore Beach Club Night Swim, you’ll also find other goodies like gaming tables, daybeds, DJ tables, lily pads, beach couches, and water couches. If you want fast access into the event, be sure to pick up a VIP ticket to get on the guest list. You can find Encore Beach Club Night Swim conveniently located inside the Encore Hotel at 3131 South Las Vegas Boulevard. Head to the front desk and make a diagonal to the far right corner. After passing Surrender nightclub and Andrea’s restaurant, you’ll discover a hallway that leads to the Night Swim event. With its lavish white, gold, and red striped décor and aesthetically-pleasing atmosphere, there’s no way you’ll miss it.